We live in an age where most of us are becoming increasingly 'wireless': mobile phones that connect to the internet via data or WiFi networks, files that are sent via email or servers across continents; new laptops that forgo most data ports. While we seem to move further into the 'cordless' world, we are in fact, still very much physically connected, and bound by the limitations of the world's geography and politics. Today, 99 percent of telecommunications data are transferred via a vast network of Undersea Cable Networks, providing valuable insight into how the world today is connected, as well as the fragility and limitations of the network that powers most of the world's financial, communications and data. 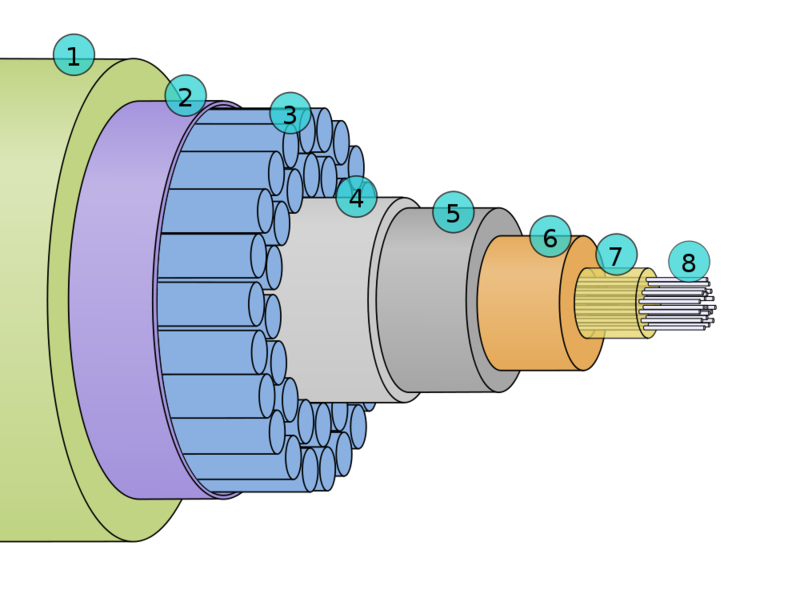 1 - A brief history of Submarine Cable Networks Since the telegraph was invented in 1839, the idea of a submarine cable was discussed and by the 1850s successful cables were connecting Britain and other nations, with the first transatlantic cable planned in 1854. In the 19th century a lot of the development came from Britain to service the British Empire. As modes of telecommunication develop, the network grew increasingly larger, servicing more and more telecommunication services, but as the number of users increase, the bandwidth of these networks need to continually evolve. In the 1980s, fiber optic cables are developed, and as the Internet continues to grow, the cables are now handling much more than phone calls and telegrams. 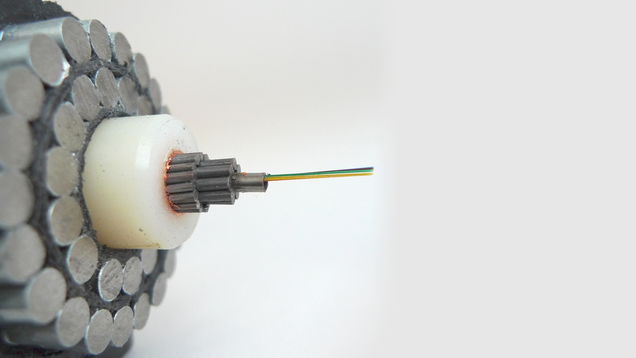 The current submarine cable is designed to withstand potential damage, from fishing anchors to sharks to natural disasters, with the typically 2.7 inch diameter cable with multiple layers built in to protect the optical fibers inside. The average bandwidth can reach 100 Gigabytes per second, meaning each cable can potentially deliver terabits of data per second across the oceans. As of today the only continent with no connection to the Submarine Cable Network is Antarctica. As the telecommunications network become the spine for so many other networks, it serves as a reflection of the geopolitical landscape of the 21st century. There are certainly a lot of similarities between the two, which highlights a few points. One is the fact that much of our movements, be it physical or virtual, is very much limited to the Earth's geography. You need to build a path from Point A to B, and while in the world of telecommunications, the speed has improved significantly since the mid-nineteenth century, the path has changed little physically. The submarine cable map, like the trade routes of the past, also highlight the major 'players' of the global political world. The interactive map allows the user to find the specific routes, one can see major connections into financial hubs: London, New York, Hong Kong, Singapore, Tokyo. Not surprisingly, the US receives the most cable connections (66), and Britain, the nation that were instrumental in building the submarine cable telecommunications network, also have a high number of connections (54). China, while the second largest economy in the world, has a limited number of connections due to its Great Firewall which is designed for content censorship, but Hong Kong, now part of China and has one of the largest financial markets, receives 11 connections. As Alon Chitayat's report on Internet Politics in the Middle East show, ownership and connection points of the submarine cables are still hugely influenced by the geopolitical situations of nations. At the same time, just as a trade route disruption would cause a shortage of supplies, the virtual network and routes can break down when these submarine cables network are damaged. One notable example is the 2006 Taiwan Hengchun Earthquake, which severely damaged some submarine cables and caused one of the largest telecommunication outages in recent history. The earthquake disrupted many cables that connect East Asia to the US were destroyed, meaning traffic has to reroute to connect to America via Europe. Due to the limited numbers of paths, traffic became overcrowded, causing complete internet outages for many in Taiwan, Hong Kong and Korea. The disruption of internet speed and connectivity also affected the financial markets, where a reliable internet is necessary for the cutthroat nature of trading. While the significance of the submarine cable networks should make it a prime target for attacks, the globalized economic world of today means too much is intertwined for any state to use it as a source of attack. In 2013, telecommunication connections are sabotaged in Egypt, causing a huge outage. However, due to how essential the network is to all works of life: finance, commerce, knowledge and communication, the world makes every effort to ensure the submarine cable network functions in an optimal state. Even when politics and fear of surveillance is in play, the result is the creation of more new network paths, rather than the destruction of the network.